If I were not a paragon of patience, I would have thrown my head back and laughed mightily toward the heavenly realms where God himself was raising a furry eyebrow over the reckless use of the term “quick” to describe an audio call. Instead, I smiled politely, found a quiet corner, and curled up with a book. I could use this as an opportunity to report exactly how much time that quick call took, but that would probably ignite a heated debate in my house about the fourth dimension. Let’s just say that I had enough time to finish the book I was reading, enough time to ponder the longterm effects of emotional abandonment, and enough time to compose another essay laced with audio half-truths and lies. Tuesday evening The Audiophile took me to an establishment commonly known as a hole-in-the-wall to hear a lineup of songwriters. It was open-mic night, so I wasn't expecting a lot, but when you live within parasailing distance of Music City, you never know. I settled in to meditate on the acoustic goodness of a decently talented Millennial with a darling little man bun, when The Audiophile caught my wandering eye. He smiled knowingly, leaned in my direction, brought his lips to my ear, and whispered, "Those are original Bose 901's suspended from the ceiling." He had not Googled this. He had not consulted an audiophile field guide. He does not have crib notes written on the palm of his hand. He simply had this morsel of knowledge stored in one of his brain folds where most people slot information about where they put the keys to their car or the nature of the items that are allowed in the recycling bin. The last thing I have to say about this, and I think I speak for all the audio wives out there, is I was under the impression "Bose" was on The Audiophile Banned-Word list. Apparently. Not. Last weekend I happened upon The Audiophile enjoying a song by a female vocalist. That, of course, is not noteworthy. But get this, he was listening to it on his iPad. I'll give you a moment to process that, catch your breath, and decide whether you can continue to view this blog as a reliable source of high-fidelity intel. I crimped my eyelids into slits and took a good look at him. He appeared to still be the person I walked down the aisle with and said, "I do" to, but how was I to know for sure? I thought about casually plucking 10 to 20 pieces of his hair to run a DNA test, but he and Fuzzy Wuzzy have no hair, which is a sensitive subject for both of them. Then it hit me. He had not turned on his system for a couple of days, which meant he was probably one-click away from queueing up the slasher music from the shower scene in Psycho. Normal wives would have asked their audiophiles about the circumstances leading to this bone-chilling, irrational behavior, but The Audiophile's wife is not normal. She quietly backs away from the scene of the crime, slinks up the stairs to her iMac and tap, tap, taps her concerns straight into the worldly wide web. Sometimes The Audiophile tries to guide the direction of this blog by talking extra loudly to someone about something silly like using copper shielding in a cable of some sort. I could not care less about copper shielding, but I Googled it anyway. Holy buckets. Don't do that unless you want to test your tolerance for the boring and mundane. Also, here's a PSA: If you ever Google anything related to high-fidelity audio, the subsequent ads that will clutter your browser for the rest of your life will include things you will never buy and can only hope your audiophile will never buy. Case in point, the fine folks at a company I will not name seem to think I just might be interested in a cable that costs more than my first house. Apparently my browsing history has led them to believe I am A) an audiophile, or B) completely unbalanced. I guess the only way to run that A/B test is to order the cable and see if The Audiophile A) applauds me, or B) has me committed to a mental institution. 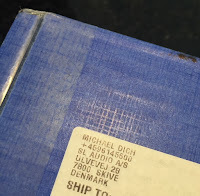 A small, blue box arrived from Denmark this week thanks to the worldwide postal people. I don't know how many planes, trains, and automobiles were required to get the item from point A to point B, but I can assure you that point B was ecstatic with the timely delivery. The box contained a new USB something something, that can apparently be "blown out" if one makes a wee little mistake doing something that I'm not allowed to talk about in order to protect the reputation of The Someone who made the mistake. The important thing is The Audiophile is back in business, and by "business" I mean sitting in the sweet spot swaying to the music, which is the highest denomination of currency I know of to keep his sanity in check. Is it a coincidence that this box came from the land of "hygge" where the happiest people on the planet spend ridiculous amounts of time curled up by the fire, in hand-knitted socks, drinking mulled wine? I don't think so. 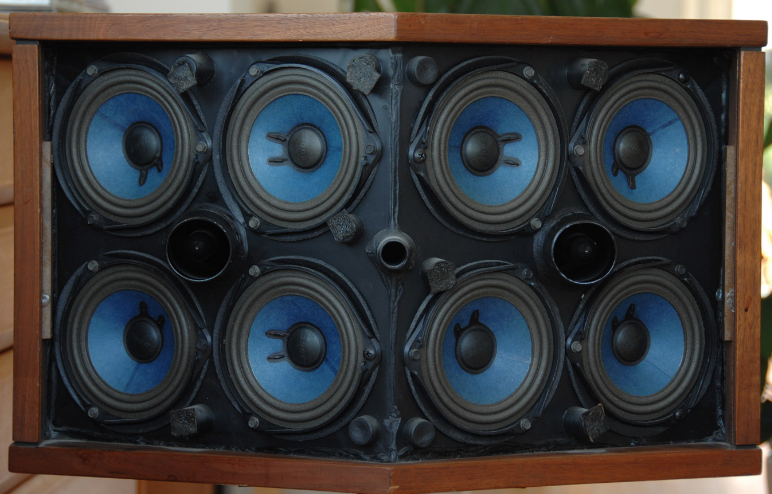 First things first: The Audiophile's stereo is still broken. 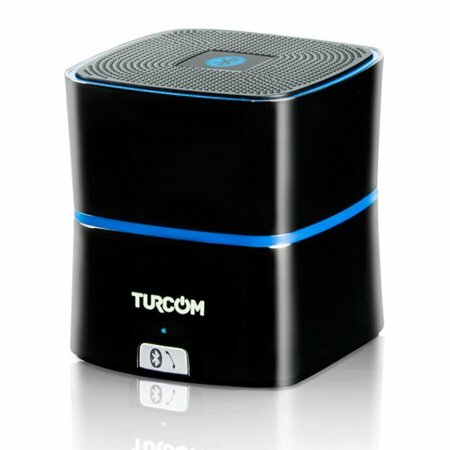 Second things second: The Turcom TS-450 ain't cuttin' it. I believe the requisite part to fix the broken stereo is on its way from somewhere, maybe Denmark. I'm told it will cost less than a tonsillectomy. I assume it will arrive in the near future and hopefully before a certain someone develops Tourette syndrome or something far worse. Now that I think about it, that certain someone has been remarkably calm about the situation. So calm, in fact, that I should probably look around the house to see if he has filled an entire ream of paper with "All work and no play makes Jack a dull boy." Perhaps by next week, I'll be able to write a love story about the joyful reunion between a man and his music. If not that, I'll likely have some material for Stephen King to work into his next psychological audio thriller should he care to reach out to me for my subject matter expertise. He may have included some other choice statements with the above, but I've taken the liberty of editing out the nonessential interjections. What thaaa? What do I do next? Should I move to the side of the road? Get the license plate number on that rapidly-approaching SUV? Pretend I'm invisible? Yeah, that's what I'll do, I'll pretend I'm invisible. Bad strategy, deer, what you want to do hightail your carcass over to a coffee shop for a while until the rapidly-approaching SUV runs out of gas and lets you and your chicken friend cross the road without insult or injury. The wound on The Audiophile's situation is still raw, so I have not asked for details, but I can report that we will be using the handy Turcom TS-450 mentioned in last week's post as our primary system for a while. Over the glorious three-day weekend, The Audiophile and I were sitting outside enjoying nature's musical offerings with a glass of crispy white wine when I had an idea. Somewhere, in the back of a drawer, I remembered seeing a small amplification device that would allow us to sling the music from our phones through the magic of bluetooth for our personal listening pleasure in the great outdoors. I asked The Audiophile if he could stream Tidal on his phone. You would have thought I had suggested we carve out our superfluous organs with a soup spoon and list them on eBay by the look on his face, but he cautiously gave me a slow, affirmative nod. Fifteen minutes later, Van Morrison was chirping along with the birds and the bees through the mighty impressive 5 watt, 45 mm driver. Yes, I violated every audiophile law in the handbook with this low-budget maneuver, but I felt like a super genius. Furthermore, The Audiophile, although he will never admit it, thoroughly enjoyed letting his soul and spirit fly into the mystic as evidenced by his traitorous bobbing head and tapping toe. When The Audiophile isn't philing the audio, he philes the road bike. Is this a hobby we share? No. My bike has a basket on the handlebars and a bell that I'm not afraid to use. Last week he floated the notion that some cyclists shave their legs. I didn't hear why this is, because my mind immediately began to imagine him in a nice bubbly bath poised for action with his Gillette Mach 3, and I missed the rationale. This got me to thinking about whether shavings one's legs would make a difference in the acoustics of the room. After a quick perusal of the www, I found nothing on the subject except an article clarifying cyclists shave their legs for a variety of pathetic reasons including that it makes them "feel faster." In summary, cyclists are apparently of the same wingding caliber as audiophiles, and I would like to encourage all audiophiles to shave their legs so they can take to the forums and debate whether it makes their reference track of choice "sound better."